Two days before we flew to Detroit, Katie and I made a last minute decision to take the northern route on our way to Milwaukee instead of the (much shorter) southern course. This is one of the reasons that we don’t book our hotels in advance. 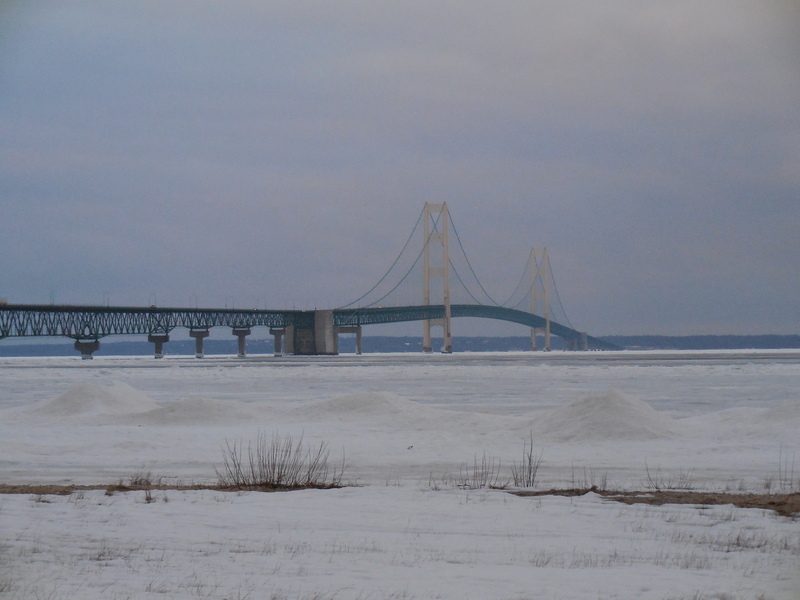 After some finagling with Google maps and a glance at the paper atlas, we chose to drive up Route 75 and cross the Mackinac Bridge before landing in the little town of St Ignace, chosen on a whim. The road opened into the distance and became less and less congested the further we got towards the bridge, validating our decision to avoid the more inland and town-filled roads that lay in the other direction. 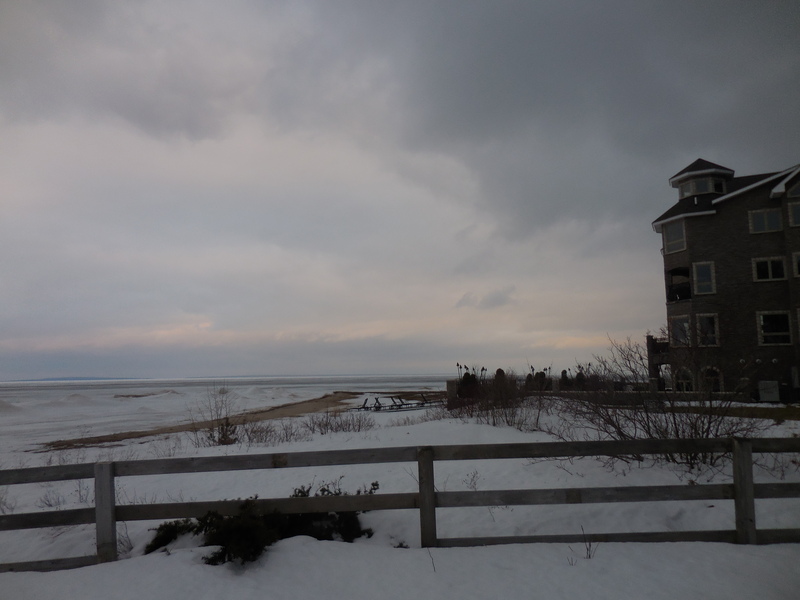 In addition to quieter surroundings, we started to see more and more snow on the ground. At one point, we passed through a swath of flurries that sent a frosty shudder down my spine—knowing that a freak-blizzard was not completely impossible. 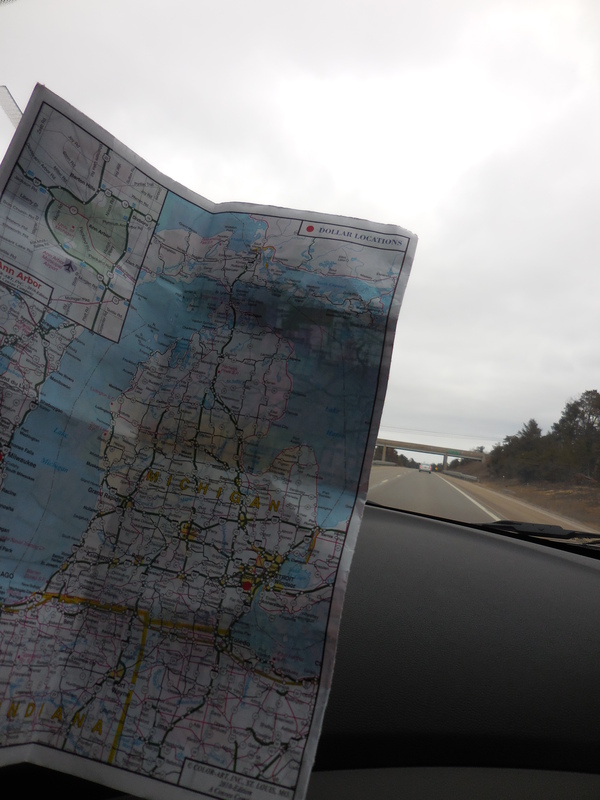 Luckily, no snowpocolype occurred on this drive (two weeks ago, we might not have been so lucky). 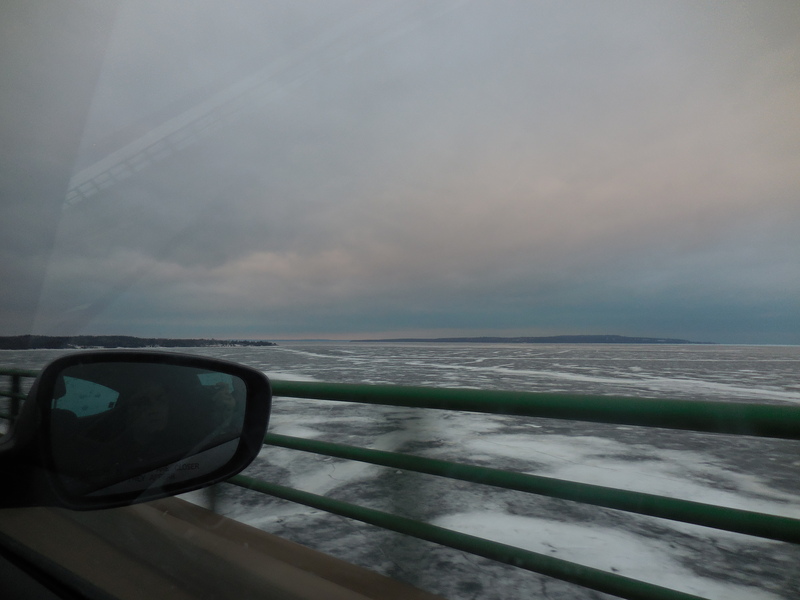 After a couple hours of smooth sailing, and feeling calmed by the comfort of the road, we landed in Mackinaw City at the foot of the 5-mile bridge that would cross the lake. 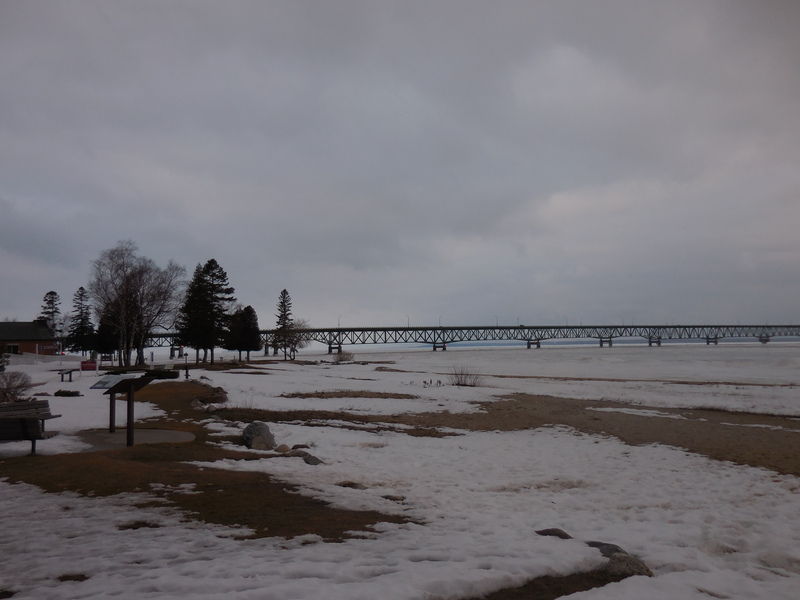 We pulled off at a lakeside viewing area and tromped through a few mounds of unplowed snow to snap some pictures. The sun was 30 minutes from setting, and the sky glowed with shades of light purple and pink, and the bridge shimmered alongside the frozen lake. The town also lay frighteningly quiet, with only the whispers of chilly breeze to dance around our cameras. One deep breath to absorb the Zen of that rare quiet, and we continued on across the skinny bridge for a full and immersive experience of being surrounded by endless ice. Once in St. Ignace, we checked into our teeny, tiny motel by the water and asked for a recommendation for dinner. It was 28 degrees and I could barely feel my toes. Into the car we went…and down a dark main street, passing a dozen dark storefronts. 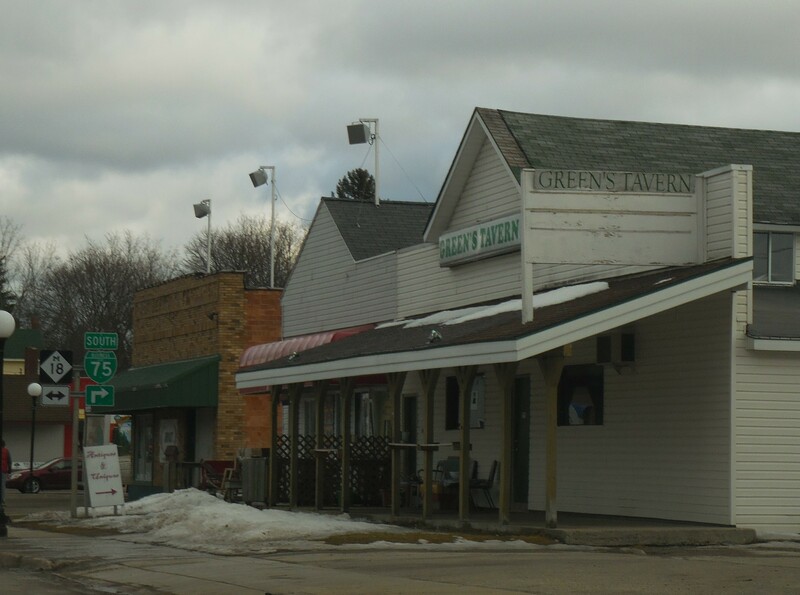 Apparently, it’s common for Upper Peninsula area stores to shut down through the winter and stay that way until April. Luckily, there was one decent looking restaurant that braved the bitter months, and we settled into a wooden booth with a glass of much-deserved wine. 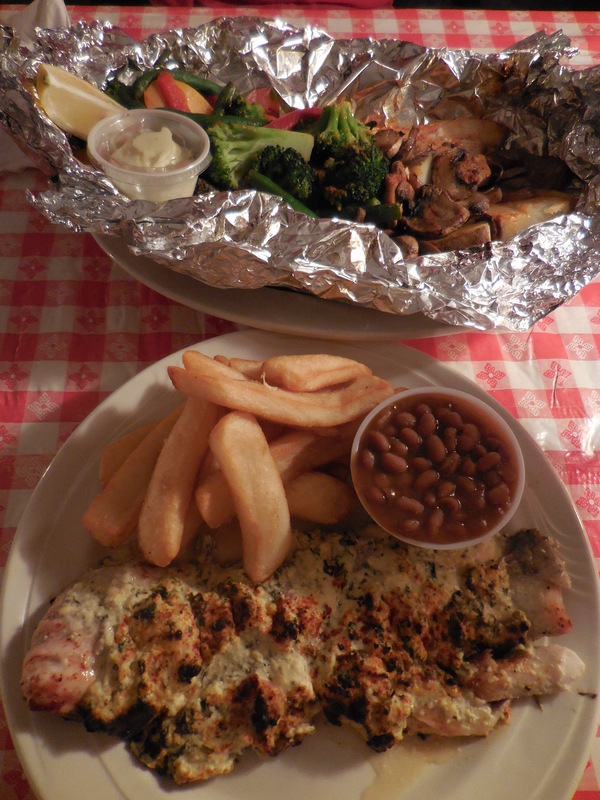 I read that the fresh seafood is a big draw of the area, especially whitefish, so we ordered it two ways—pan seared and topped with a savory puree of spinach and wild onions, and one baked with butter, herbs and vegetables in foil. The foil version was super tender and highly aromatic and flavorful, especially considering how mild whitefish can be on its own. The topping on the pan seared version was tangy and dynamic, which complimented the light fish in an equally interesting way. Mackinac Grille would have been a good choice even if it wasn’t one of the only places brave enough to serve us winter travelers. Heading to sleep early in a town that has been asleep all winter felt pretty much perfect.